It’s for adrenaline junkies, not amateurs. Huge power and an incredible ride for those who aren’t afraid to open it up. Tame the wild. 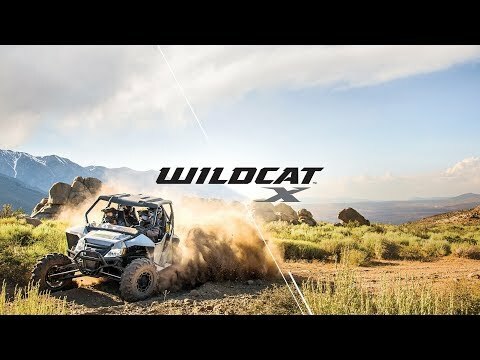 With a double A-Arm front suspension and 5-Link rear suspension, Wildcat™ X is the X factor you need to feel the thrill on the most daring off-road rides. Strap in, open it up and hold on tight. When you let Wildcat X out of its cage, it’s on. SUSPENSION & HANDLING: Double A-Arm front suspension, Elka® Stage 5 shocks, 5-Link rear suspension, TEAM® Rapid Response clutch, electronic 2/4WD with front differential lock, electronic power steering. POWER: Wildcat X packs 951cc into a V-twin, closed-loop EFI engine for a powerful, efficient ride—every time out. DRIVER EXPERIENCE: LED headlights, taillights and brake lights, ITP® Blackwater Evolution® tires, aluminum ITP Beadlock wheels, standard doors. 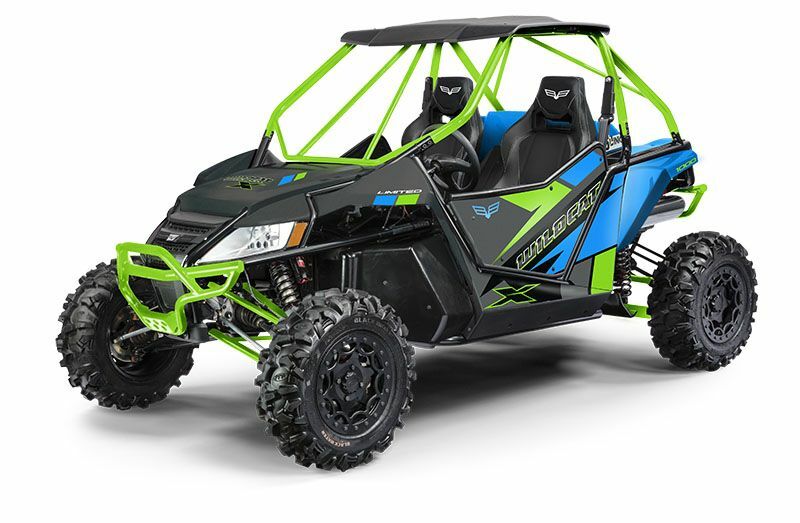 RELIABILITY: Six-month warranty; advanced, aggressive durability testing; U.S. manufacturing in Thief River Falls, MN; backed by the power of Textron, a Fortune 250 company.